The perch is a vibrant and efficient predator that takes changes in all sizes. Small perch feed on everything from mosquito larvae to fry. When it gets bigger turns, if possible, to a fish diet. If there is a shortage of food, or fish fry, perch can be small-sized and low-fat, what we call a thousand brothers. They are hardy fish, and one of the fish species in our waters that can withstand acidification best. Perch spawn in the spring when the water temperature is around 7-8 degrees. Spawning takes place in shallow water near the beach. Perch are popular food fish. They are good both small and large. Filea it gladly. Their closest relatives are the zander and perch Gersen with which shares its sharp gill cover and pointed dorsal fins. There are a total of three different abborrarter in the world. The perch is Medelpads landscape fish. The Swedish name comes from fish are spiny and prickly, and the scientific name of the river. The perch is probably the species we find in most lakes and water in Sweden. It is available across the country, from the mountain regions, the nutrient-rich lowland lakes and nutrient-poor brown forest lakes. It thrives well in running water, and along the coast down to Skåne. It is further east in Asia. In Sweden there is no threat to the perch, and rarely any fishing restrictions. However, it has in recent years seen the reduction of perch along the Baltic coast, where some theories suggest that it is due to the large amount of sticklebacks. When perch is small, it grows quickly and is already in the second year of 10 cm long at best. After that, it is slower. Do you get a perch over 30 cm is often more than ten years old. As most will Perch 20 years old, and can reach a length of about 60 cm. The females are the ones who become great, to be able to add many roe. The males are not as big as they still are successful and can multiply. The males can go to play fairly small and young, while females need a little more size. The spawn is laid in long white ribbon. 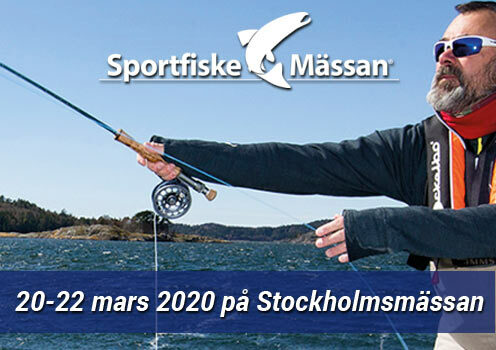 Angling record in Sweden is 3.15kg. The perch is a typical predator that often hunt in shoals. Do you see shoals frightened minnows jumped into the surface, it may be some larger perch chasing small fish up! Have you got a chances are that you get more, take the opportunity and was fast before bustle draws on new hunting grounds. Best fishing for perch is the height of summer and early fall. The fish love warm water and pulls often to areas where it can stand and bask, for example, in relatively shallow water near vegetation and reeds, fallen trees and vases, where there is also plenty of food. Tractor Tips: Jigs can be very effective on the perch, but the most effective color combination varies from lake to lake - test your way! During the summer you fish the perch with a worm on fishing or small spinners, small spoons and smaller wobblers. You can also take the bass with flies. An exciting way to catch bigger bass is through ytgående wobblers, called Poppers. These intermittently pulled up on the surface and splashes small bursts of water to simulate an injured fish. The often violent carved come quickly and unexpectedly from below, so keep constantly an eye on the draft. The perch is undoubtedly also one of Sweden's most popular fish to ice fishing for the winter. In winter, the perch less active and often shy away down towards the deep holes, fishing between 3 to 10 meters. Above all, the fishing is good in early spring, ie from February to March when it becomes more active. One tip is that the perch are often at deep precipices in the winter, so that it can move to deeper or shallower water. 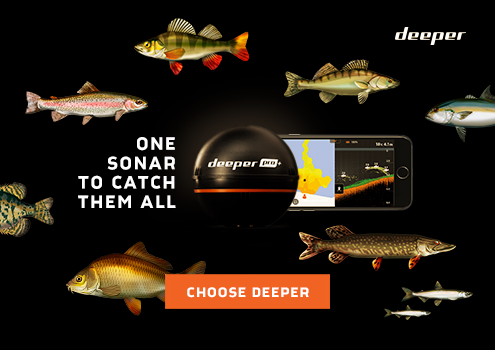 This makes it as it has a closed swim bladders and therefore can not compensate pressure, but instead affects the low and high pressure perch so that it must move towards the shallower or deeper water. Often working red and white colors well during the winter. Baiting with maggots or a utkramat abborreöga increases your chances of getting a bite. Another thing to remember is to be careful of ice movements and not bushy, since large movements frighten perch. Ice fishing instead gently land the jig to the bottom sometimes, and fish with dainty movements. Fiskedrag: ice fishing with vertical and balanspirkar.